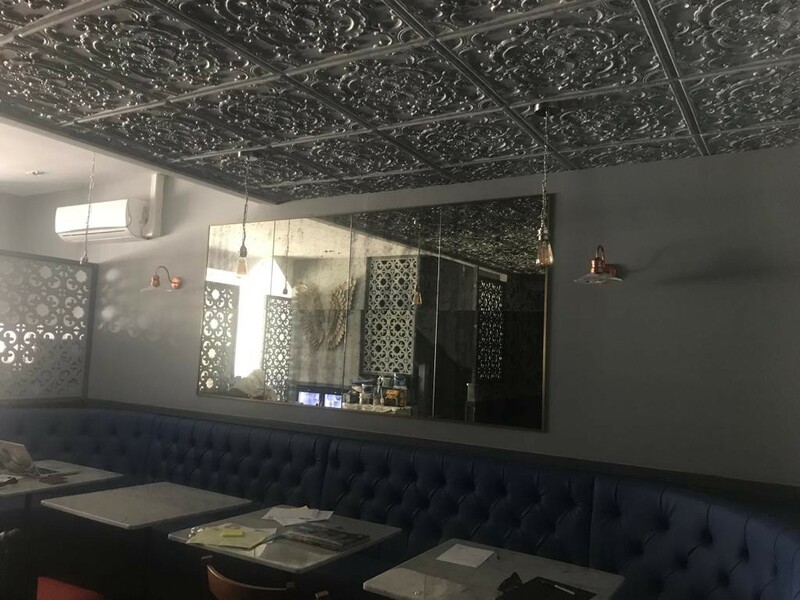 We had the pleasure of working alongside restaurateur Daryl as well as Andy for their new restaurant venture ‘Seven Bluebirds’ due to open the beginning of August. 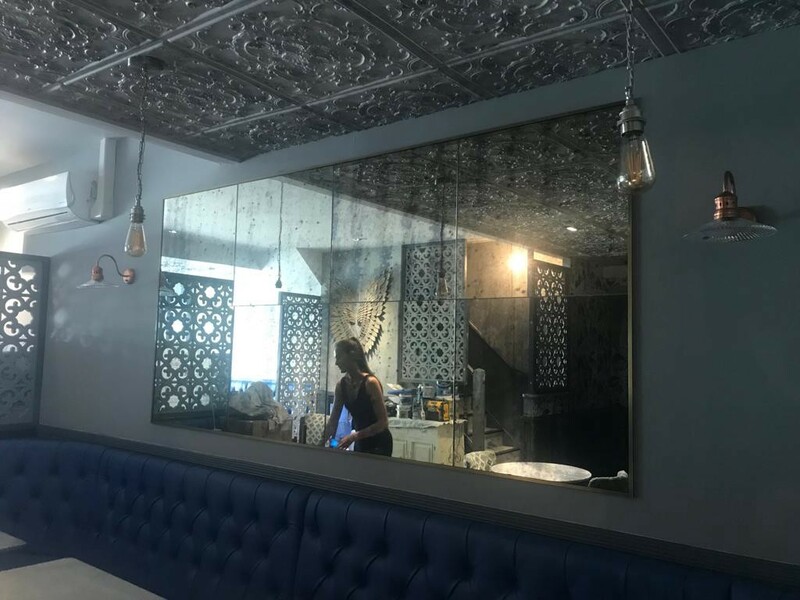 We measured and installed our Umbria style antique mirror to the back bar and created a paneled feature wall presenting our Azzurro style within the main restaurant. Here’s a snap snippet for now and more to follow from the opening night! Mirror The restaurant is based in Esher, Surrey and promises to offer a unique breakfast, brunch, tea and dinner experience. If you’re seeking a new taste from a new place, be sure to visit their website below and stay updated for when they open.